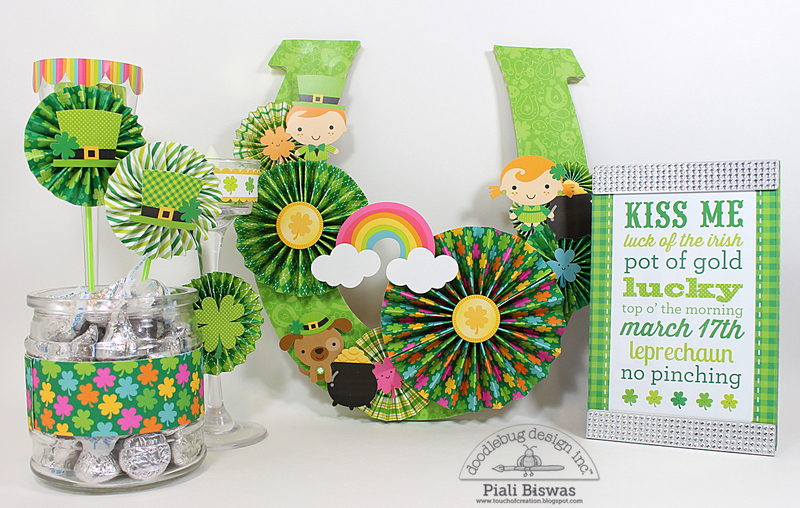 Piali here sharing St. Patrick's Day home decor project today. I used Happy Go Lucky collection , its absolutely fun and cute!!! I made various sized rosette using 12 x12 paper and embellished the paper rosette with cute stickers from the collection. Fancy Frills are perfect little quick decoration for dollar store tea light holders. 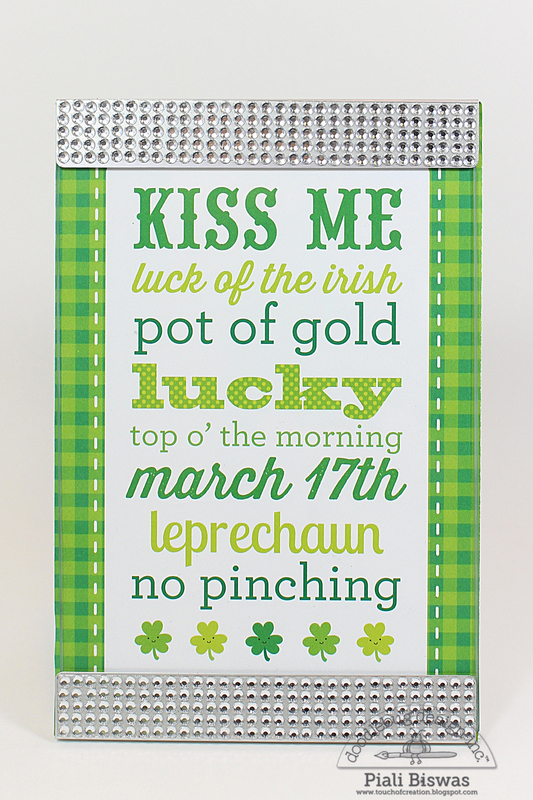 4x6 journalling card frame makes fun decor!!! So cute! I love the lucky horse shoe!!! 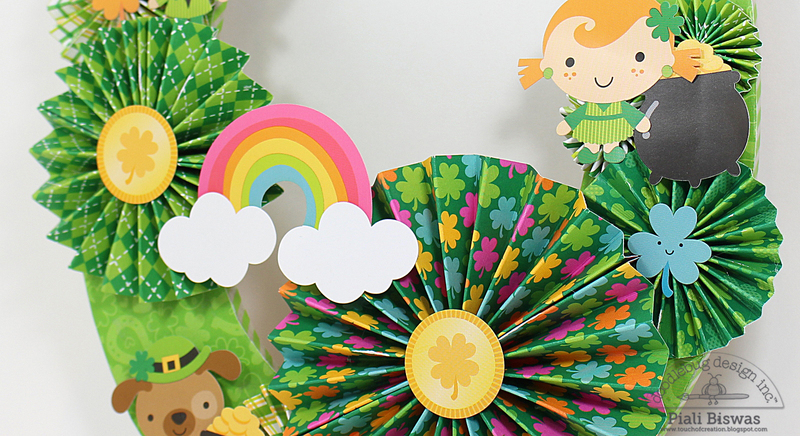 LOVE your SUPER LUCKY horseshoe, the rosettes & CHEERY papers look AWESOME!!! 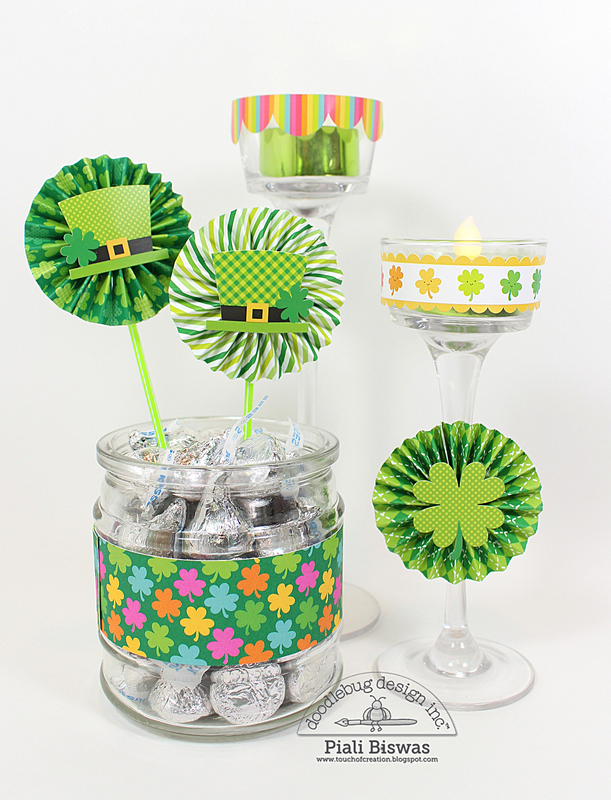 What great and happy and fun projects for St Patricks Day - I will be making at least one pr two of these ideas!! They are each one - so cool and creative!!! Way to go - so excited about this!! !